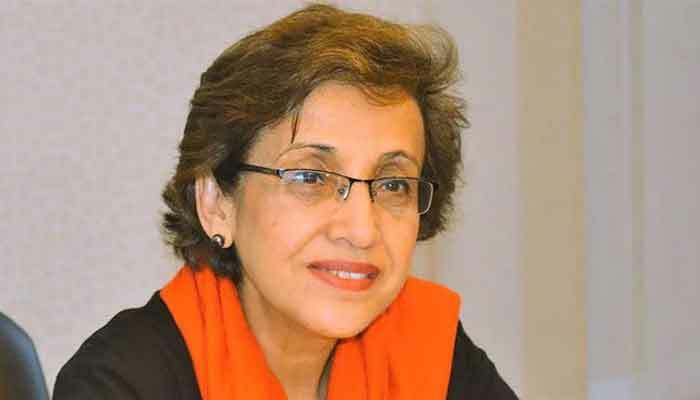 ISLAMABAD: Incumbent Foreign Secretary Tehmina Janjua will be Pakistan’s new ambassador in China and Ambassador Moazzam Ahmad Khan, who is currently the country’s envoy in the United Arab Emirates (UAE), will be Pakistan’s new High Commissioner in India. He will replace Sohail Mahmood, who has been designated as the new Foreign Secretary of Pakistan. Well-placed diplomatic sources told The News here on Friday that the Foreign Office has decided in principle to bring about major reshuffle in its important missions abroad as the country will also have new ambassadors in Russia, France, Germany, European Union (EU), the UAE, Hungary, South Africa, Japan and permanent representative (PR) UN headquarters at Geneva. Pakistan’s Ambassador in China Masood Khalid who is availing second extension in his posting in Beijing after attaining superannuation will be quitting the station as soon Tehmina Janjua agreemaunt (Consent letter) is granted by China. She will be contractual ambassador and likely to serve the country for three years in Beijing. She is reaching the superannuation age on 16th of this month. Pakistan’s ambassador in France Moinul Haq who served as Chief Protocol before assignment in French capital will be proceeding to Abu Dhabi as ambassador for the UAE. Naghmana Hashmi will be new ambassador for France. She is currently Pakistan’s ambassador for Belgium, Luxembourg and EU. Pakistan’s ambassador in Germany Jauhar Saleem will be replacing Naghmana Hashmi in Brussels. Additional Foreign Secretary for Europe Zaheer Aslam Janjua will be new ambassador for Germany. He will be leaving for Berlin next month. The sources pointed out that Special Secretary for Asia Pacific region in Foreign Office Imtiaz Ahmad will be Pakistan’s new ambassador in Japan since Pakistan’s former ambassador in Tokyo Dr Asad Majeed has already left Japan and assumed the assignment of ambassador in the United States. Additional Foreign Secretary for Turkey, Iran and Afghanistan Dr. Muhammad Aejaz will be ambassador in Hungary. Khalil-ur-Rehman Hashmi who is Director General for the United Nations in the Foreign Office will be Pakistan’s permanent representative (PR) for the UN Geneva headquarters. Farrukh Aamil who was PR at Geneva Headquarters has already relinquished the charge after attaining superannuation. Dr Sohail Ahmad Khan who is high commissioner in South Africa will be leaving for Moscow to become ambassador for Russia since incumbent ambassador Qazi M Khaliullah is completing his contractual period next month. Pakistan’s high commissioner for Thailand Asim Iftikhar Ahmad could be picked for posting as high commissioner for South Africa, the sources added. New Foreign Secretary Sohail Mahmood is relinquishing his charge in New Delhi on Wednesday (April 10) to assume his new assignment in Islamabad. The sources reminded that notification pertaining to the reshuffling would be formalized next week. The changes have been authenticated by Foreign Minister Shah Mahmood Qureshi, the sources said. In the meanwhile Director General South Asia Division in the Foreign Office Dr. Muhammad Faisal Chaudhary who is in his own right an astute diplomat could be considered for High Commissioner in Dhaka where Ms. Saqlain Syeda was declined by the Bangladesh government to grant agreement. Dr Muhammad Faisal Chaudhary is currently looking after the assignment of the spokesperson of the Foreign Affairs additionally.